North Korea’s state media has claimed the country has developed a "more developed" nuclear weapon it called a hydrogen bomb, a boast that follows intercontinental ballistic missile tests that sparked international condemnation. The White House referred questions about the claim, which was made by North Korean state-run media KCNA Sunday local time, to intelligence officials. The claim has not been verified by U.S. officials. 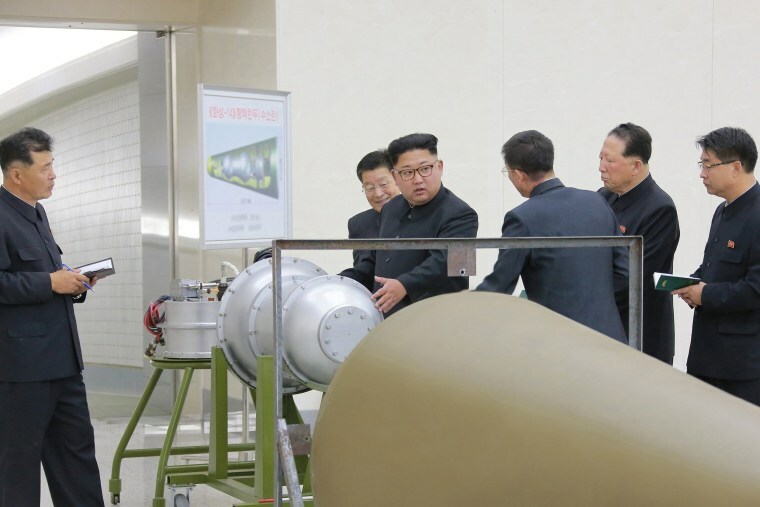 North Korea claimed in January of 2016 that it conducted a hydrogen bomb test. That claim was met with skepticism by experts. The isolated country in July conducted two intercontinental ballistic missile tests, and experts said the tests indicated the missiles could reach parts of the United States. KCNA claimed that that North Korea has "succeeded in making a more developed nuke," and said it was "a multi-functional thermonuclear nuke with great destructive power." After the ICBM tests, the United Nations imposed tough new sanctions on North Korea that included a ban on coal and other exports worth over $1 billion. President Donald Trump in August warned that North Korea would "be met with fire, fury and frankly power the likes of which this world has never seen before" if it continued to threaten the United States. The U.S. military flew advanced warplanes to South Korea this week for bombing drills. North Korea has conducted five nuclear missile tests since 2006, including two last year. U.S. intelligence agencies have made an assessment that North Korea has constructed a nuclear weapon small enough to fit on a missile, a U.S. official briefed on the assessment told NBC News in August. Trump and South Korean President Moon Jae-in spoke by phone Friday to discuss responses to North Korea's provocations, and Trump "provided his conceptual approval of planned purchases by South Korea of billions of dollars in American military equipment," according to a White House statement.